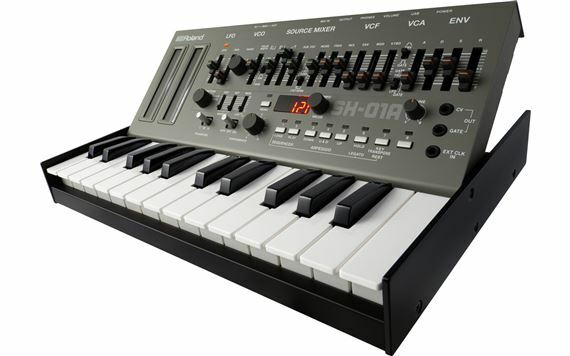 Order your Roland SH01A Boutique Series Desktop Synthesizer from AMS and enjoy 0% Interest Payment Plans, Free Shipping, Free Extended Warranty & 45 Day Money Back Guarantee. 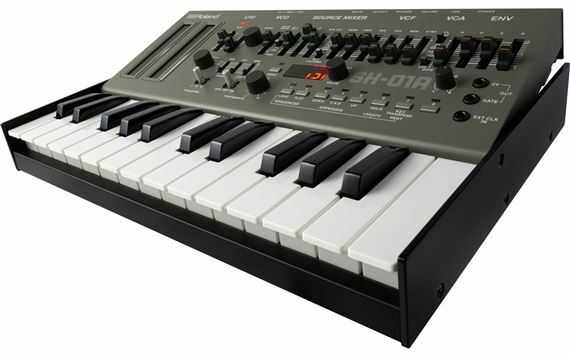 Offering exciting new polyphonic capabilities, inspiring new performance features, and authentic sounds, the SH-01A builds on the most popular classic synthesizers of all time, the iconic Roland SH-101. 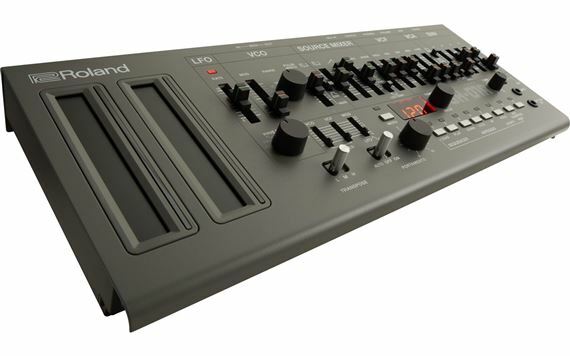 Roland's Analog Circuit Behavior (ACB) technology reproduces the SH-101’s legendary sounds by faithfully recreating the actual behavior of the original analog circuits, right down to the fine details and odd quirks that have endeared the synth to musicians and producers for decades. 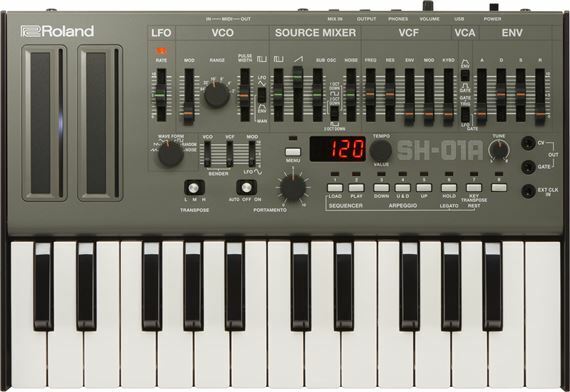 The now-legendary SH-101 was a seemingly simple monophonic synthesizer launched in 1982. 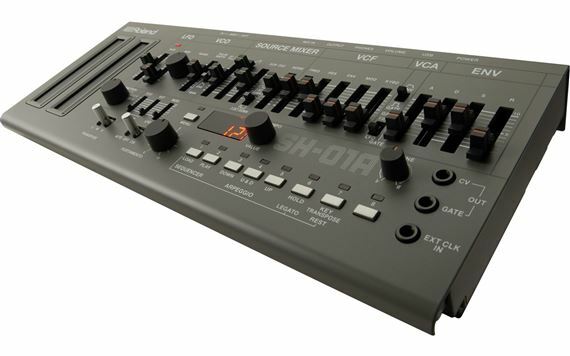 Unlike more complex synthesizers available at the time, the SH-101 quickly became popular for its characteristic tone and simple one-VCO → one-VCF → one-VCA → one-LFO structure. A legion of artists found it quick to program and adept at bright edgy tones and exciting sound effects. Its bass sounds are universally revered, and somehow any sound it produces always just fits perfectly in a mix. More than thirty years later, the SH-101’s hallmark sounds continue to be sought after by electronic artists the world over. It’s a staple of vintage synth collectors and well-equipped, world-class studios, and now returns as the inspiration for the SH-01A. The sound is vibrant and alive thanks to our proprietary Analog Circuit Behavior (ACB) technology. We use ACB to carefully recreate all the details and quirks of the original hardware by modeling each analog circuit, right down to the component level. Face-to-face consultation with the original designers and relentless research beyond the original schematics provides meticulously recreated oscillator, filter, and envelope behavior—a perfect foundation to build upon for a new generation of “101” fans. The SH-101 found its power in a huge monophonic voice for a wide variety of sounds. The SH-01A now has four huge voices, allowing for more modes to expand upon the original’s sound palette. On top of the classic Mono mode, you can stack the four voices in Unison mode to add some punch to your bass and lead lines. Chord mode layers any four notes, and can be shifted up and down in semi-tone intervals. 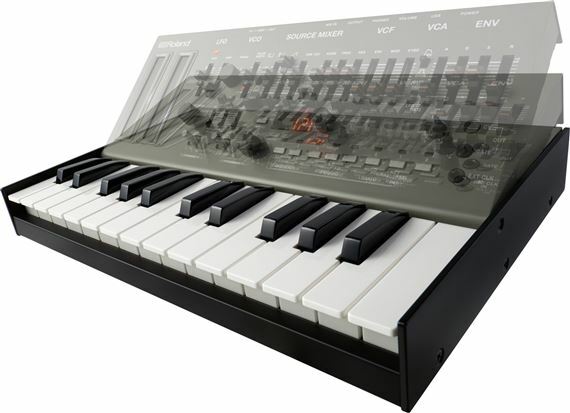 Poly mode allows for four notes to be played simultaneously, making the famous monosynth now capable of pads and chords. 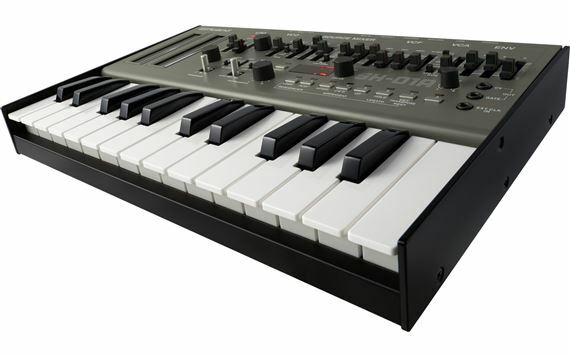 The SH-01A takes the original SH-101’s portability and stage prowess to a whole new level. It’s small enough to take just about anywhere, yet ruggedly built with sturdy knobs, metal-shaft sliders, and solid silver buttons like the original. 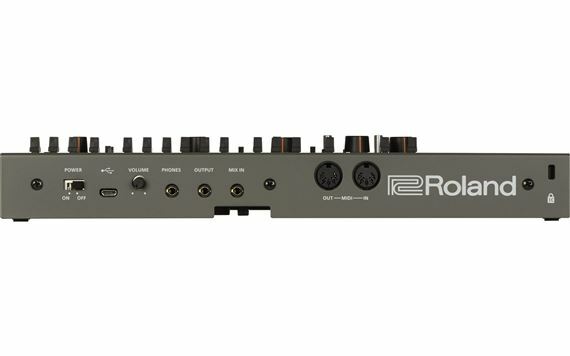 It has several tilt options for easy viewing in various live and studio scenarios, and can serve as a low-latency, portable audio interface. 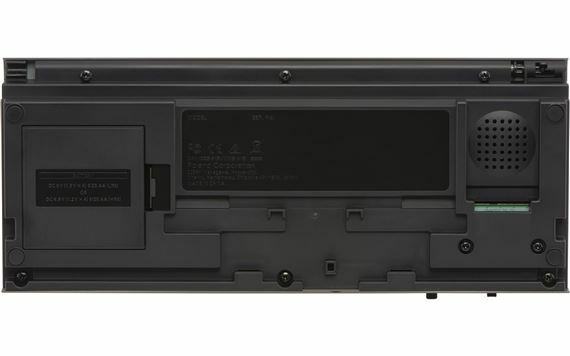 In addition, it has a built-in speaker, and even runs on batteries. 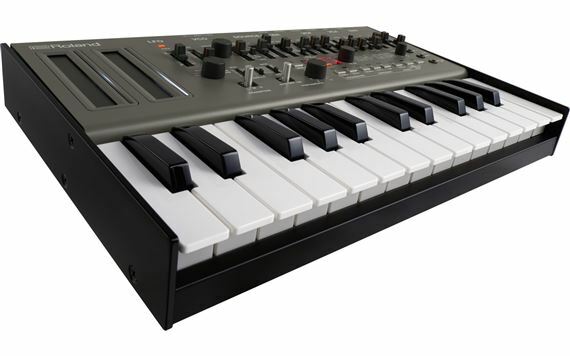 And when mounted in the optional K-25m Keyboard Unit, it can be used as a compact, all-in-one synth with 25 velocity-sensitive keys. With all this power and flexibility, you may be most surprised by the SH-01A’s affordable price, which puts the iconic SH-101 mojo within reach of just about anyone. 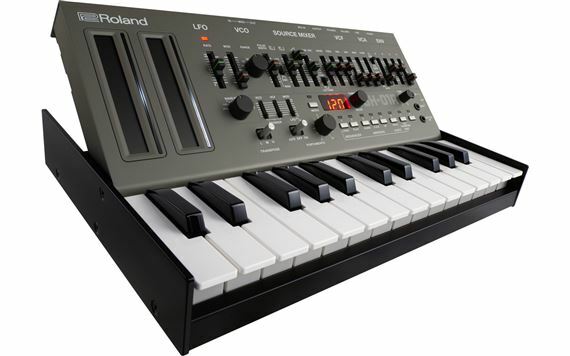 Probably the best Roland boutique for the money. So, having owned an original SH-101, sold it and regretted it ever since, this little guy has made me a happy camper again. All of the features of the original, none of the tuning quirks, and 4 note polyphony also? How could anyone complain? Sounds like the original unit, with good quality faders, if just a little small and short on the throw, you can get used to it and with presets, you can tweak AND save. Buy one before supplies dry up. Sh01a great addition to my setup! 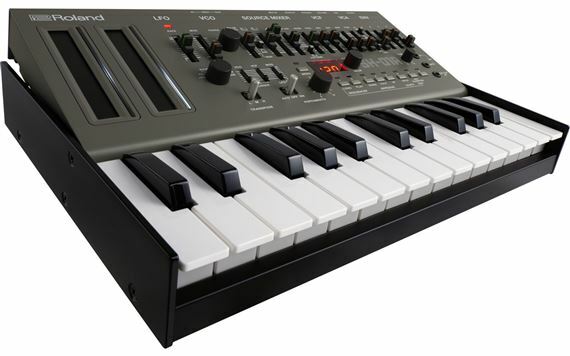 Love this synth and with the K25M it fits in my gigbag!! Serato + Roland TR-SYNC Free Update Now Available!